(25.5 cm), 105 pp. (1 folded), illustrations. Price list loosely inserted. Publisher’s printed boards. 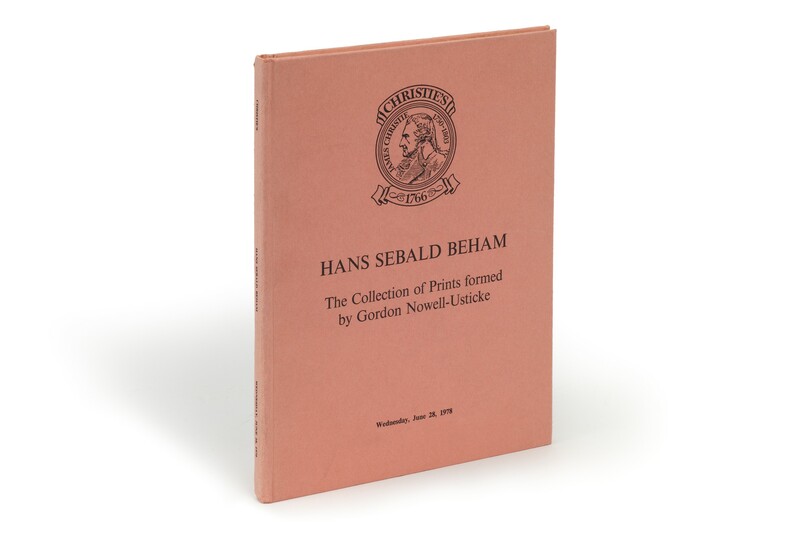 - Catalogue of a collection of prints by Hans Sebald Beham (1500-1550) and his family assembled by Captain Gordon Wright Nowell-Usticke (1894-1978), an Englishman long resident in the United States. The sale realised £62,675, with 1% unsold (sale report in The Times, 29 June 1978, p.20; James Roundell, “Hans Sebald Beham Prints from the Nowell-Usticke Collection” in Christie's review of the season – 1978, London 1978, p.123). Nowell-Usticke's collection of Rembrandt prints was dispersed at Parke-Bernet, on 31 October and 1 November 1967, 30 April 1968, and 6 May 1969. 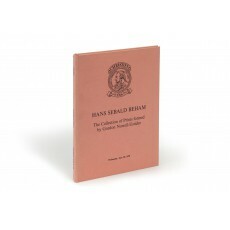 ¶ Minor shelf wear; otherwise a very good, unmarked copy.